The signature that is included when you send an email can be used in a number of different ways. Many people choose to use that space as a way to give their contacts other methods of reaching them. That could be an address, a phone number, or even a website. If you have something in your signature that could be clickable, then you might be interested in turning that text into a link. 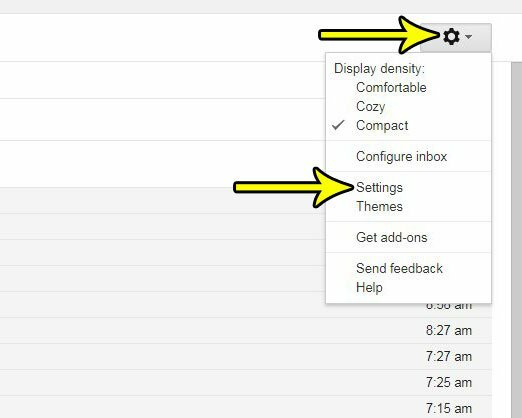 Fortunately you are able to add hyperlinks to your signature in Gmail, which will let your email recipients click on those links and be taken to a website URL that you have entered. The steps in this article were performed in Google Chrome, but will work in other Web browsers as well. Note that this signature will only be included in emails that you send from a browser. this signature will not be added to emails that you send from a third-party application, such as your phone’s Mail app, or Microsoft Outlook. 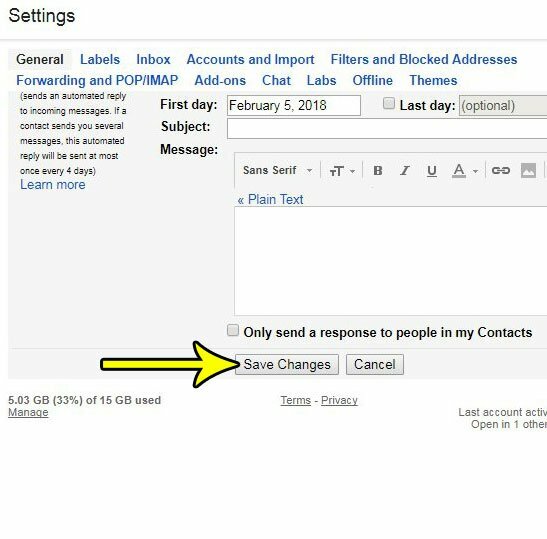 Step 1: Sign into your Gmail account at https://mail.google.com/mail/u/0/#inbox. Step 2: Select the gear icon at the top-right of the window, then click the Settings option. Step 3: Scroll down to the Signature section, type the text to which you want to attach the hyperlink, select that text, then click the Link button. 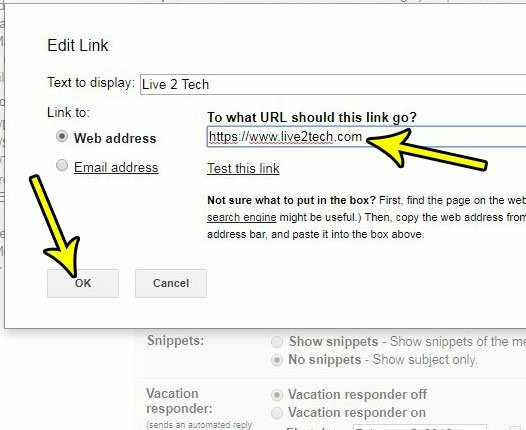 Step 4: Type the address of the link into the To what URL should this link go field, then click the OK button. Step 5: Scroll to the bottom of the menu and click the Save changes button. 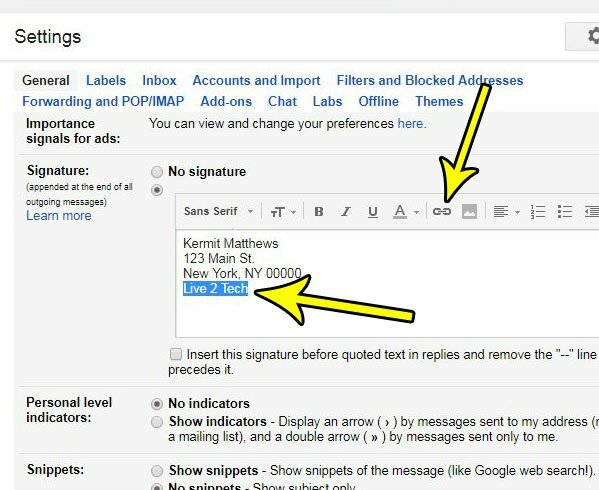 If you use Gmail in Outlook and want to use a signature there as well, then find out more about using signatures in Outlook and see what you need to do with that program.